Nokia and Symbian have announced that there will be major changes to the way in which the mobile OS is looked after. Nokia will swallow up the development of the Symbian OS, with the Foundation now managing the licensing of the software. 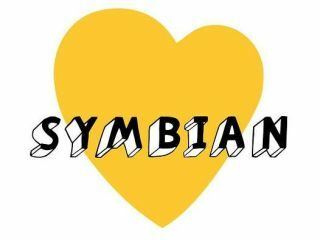 Tim Holbrow, executive director, Symbian Foundation, said about the significant changes: "The founding board members took a bold strategic step in setting up the foundation, which was absolutely the right decision at the time. "There has since been a seismic change in the mobile market but also more generally in the economy, which has led to a change in focus for some of our funding board members. "The result of this is that the current governance structure for the Symbian platform – the foundation - is no longer appropriate." In short it sounds as if funding for Symbian was being cut and Nokia has decided to bring the development of the OS in-house. The news comes just weeks after the head of the Symbian Foundation stood down. Holbrow explains that the changes to the Symbian Foundation will take place April 2011. This is when the Symbian Foundation will be governed by a group of non-executive directors tasked with overseeing the organisation's licensing function. Nokia is hoping that by bringing OS development in-house, there will be little effect to the ecosystem of Symbian. After much rumour that Nokia was going to ditch Symbian in favour of another OS (like foundation partners sony Ericsson and Samsung), it's interesting to see that Nokia is still very much invested in Symbian, as Jo Harlow, senior vice president, smartphones, Nokia, explains: Nokia remains committed to Symbian as the most used smartphone platform around the world. "The Nokia N8 generated the highest online pre-orders we've ever experienced and we have a family of Symbian^3 smartphones including the Nokia N8, Nokia C7, and Nokia C6-01 which are available now, as well as the Nokia E."
And to re-iterate this, Harlow also notes that: "The future of Symbian as a platform does not depend on the existence of the foundation" and that "The changes announced by the foundation have no impact on Nokia's Symbian device roadmaps or shipping commitments." The question remains, though, can Nokia alone create a mobile OS which can truly compete with Android and iOS4?